When I was inNashville, Jon Acuff invited us to a Quitter after party. 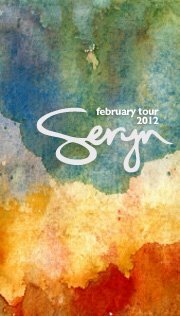 He and his wife Jenny were going to see a band called Seryn play at The Listening Café. I had only heard of them from a post Jon had written after seeing them perform in someone’s living room. A handful of us went to the show. It was fun to connect with other Quitter friends and have a night out inNashville. We had no idea what an amazing show we were in for. They were awesome! They had just about every instrument imaginable with them. And they could all play the majority of them! I love seeing bands that are so passionate about what they do. I have been listening to them nonstop and just love their unique sound and lyrics. Check out their album release video on YouTube! The ideas that Jon presents about following your dream, changing your life and fully living, can be overwhelming. Especially when you have NO idea what your dream is. That was me last year. I had completely stopped dreaming. When Jon announced the second Quitter conference, I asked him if he recommended that people come for a second time. His response was yes! And, he said there would be more interaction with the attendees. This was something that excited me. There had not been much time to network last year. Finding others who are chasing dreams is not always easy. And being in a room full of 200+ others who are, is pretty rare. For me, that was the best part of this year’s conference. Don’t get me wrong. Jon is still incredibly funny and motivating. And having more clarity on my own dream definitely helped. Am I excited about the changes I have made to date? Absolutely. But what I’ve also learned is that hearing other people talk about their dream and share it really excites me. Why? Because I’m an encourager. In some small way, I can hopefully support them or encourage them. I met some incredible people at the conference. I look forward to following them, supporting them, and learning from them. I love hearing people passionately talk about their dreams and providing hope to others. Jon does an amazing job at that. It never gets old. But what resonated with me this time were more practical things that I can apply. So, what were my key learnings? 1. When you talk about your dream, it often makes people go deaf. Wow. That is so profound. When you say “I want to write a book”, they may hear, “What you’re doing is not good enough. Why aren’t you doing something more with your life? or I’m cooler than you.” Jon just wrote a great post about this. This nugget has helped me realize so many things about people. It keeps going back to “It’s not about me.” People are often listening to the voices in their heads rather than to what you are saying. So don’t take it personally that they don’t understand your dream. Many times, their response has absolutely nothing to do with you. This advice can apply to SO many areas of our lives. 2. Approval is a terrible fuel for a dream. I struggle with this one for sure. I want people to like me and respond to what I am doing. I like confirmation and acknowledgement for what I’ve done. I’ve gotten so much better at this over the years, but it is great to think of it in the context of dreaming. Approval will fade. Many people won’t like what you’re doing. You have to be your own fuel. 3. I’m going to measure my obedience, not results. This one hit home for me. It’s exactly what I’ve been learning over the last few years. Learning to live in true faith and trust. To not have the plan all figured out. To simply obey when God leads. What does that mean for the future? I have no idea. What I do know is that I am being obedient. I am reaching out to people when I feel led. I am writing when I feel led. So for me, this is going to be my mantra moving forward. 4. If you want support, give support. I have always tried to do this, and have been more intentional about it lately. Having a support system has been immeasurable for me. But, I have learned that as I’ve supported others. This is something I think so many people miss. So, if this was your first Quitter conference, should you go to the next one? My answer is definitely YES! If you put into practice what you have learned at this one, you will be amazed at how much more clarity will come at the next one. And if you’ve never been, then you should definitely go!! A big thank you to Jon Acuff, and the entire event team, for another great event. Also, remember to give your feedback. One of the things many of us responded with were that there was not enough time for networking. They took that feedback and improved it. So, what were your learnings? I’d love to hear from you. 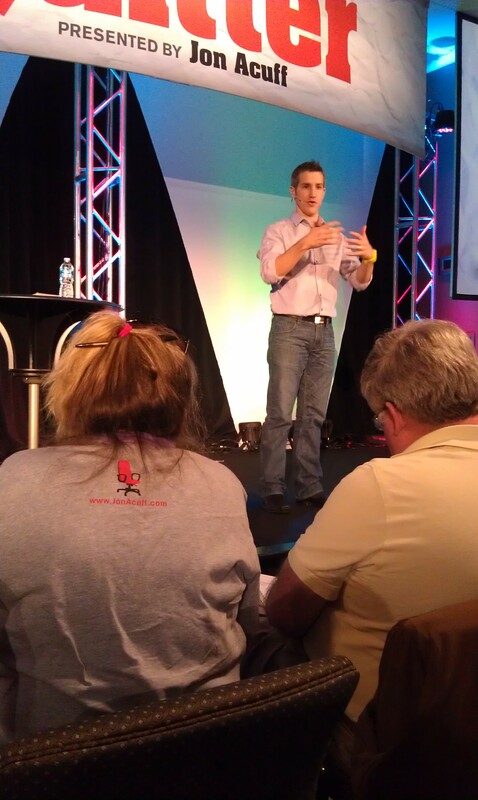 A few months ago, I attended Jon Acuff’s Quitter conference. We saw Jon and others wearing these cool, bright watches. At the end of the conference, they gave us all a watch! In addition to the watch being cool, I loved the concept behind it. Each purchase provides food and education to children in poverty. Now that is something that I absolutely love! So, when I heard that they were now partnering with another organization, Africa New Life in Rwanda, to sponsor street boys, I wanted to know how I could help. I have decided to take on a big challenge. I agreed to be a Team Captain. My goal is to have 70 people buy a watch. This will fund Fred’s meals and education for an entire year! I love that you are getting something neat, and helping someone change their future at the same time. Thank you for considering to support Team Fred!! Be sure to read the note below regarding putting Fred’s name in the note field. This will help keep track of the team progress. Thank you! When orders are placed the child’s name must be entered in the “note” field to help us keep track of who has reached their goals. It’s a small and easy to miss line that says “Note to seller” in which you click on and it opens the note field. Use this picture below as reference. I read this quote in his book titled “Sun Stand Still.” It was pretty mind blowing to me. When had I stopped having a vision for my life? When did just getting by in life and working towards what the world told me I needed take over? When did I settle for good enough? I am really struggling with this question right now. I know that God has a vision for my life. I know he had one many years ago. However, I chose to continue to work towards what I thought was best for me. Sure, I believed in him. Sure, I was a Christian. But, I wasn’t letting him guide my paths. I was choosing my own path and asking for him to help me with it when I felt like I needed help. Now, as I am feeling led towards new directions, I am really wrestling with this. Nothing is clear to me at this point. The only thing I know for sure is that God has a plan. I just have to keep trusting him and obeying when he asks me to take small steps. One of those small steps was attending the Quitter conference last weekend. I thought that maybe I would have some lightbulb moment while I was there. I didn’t. However, what I did feel was hope and clarity that I am moving in the direction that he wants me to go. And to be honest, it’s kind of exciting to watch this all progress on a daily and weekly basis. What is your vision for your life? Has it always been clear to you? I’d love to hear from you!